Habakkuk 3:2 "Lord, I have heard the report about You and I fear. O Lord, revive Your work in the midst of the years, In the midst of the years make it known; In wrath remember mercy." Today's post will feature a final post from guest blogger and a dear pastor friend of mine: Pastor Mark Dooley. It has been a joy having him with us this past week. Pastor Mark and I have had a wonderful friendship in both life and ministry since 2001. Recently Pastor Mark came and preached a series of revival messages at the church where I pastor. He pastors Leonardtown Baptist Church in Leonardtown, MD. I offer these sermons to the wider readership of this blog and pray that all who read them will be blessed and revived in their faith as I was in getting to hear them. 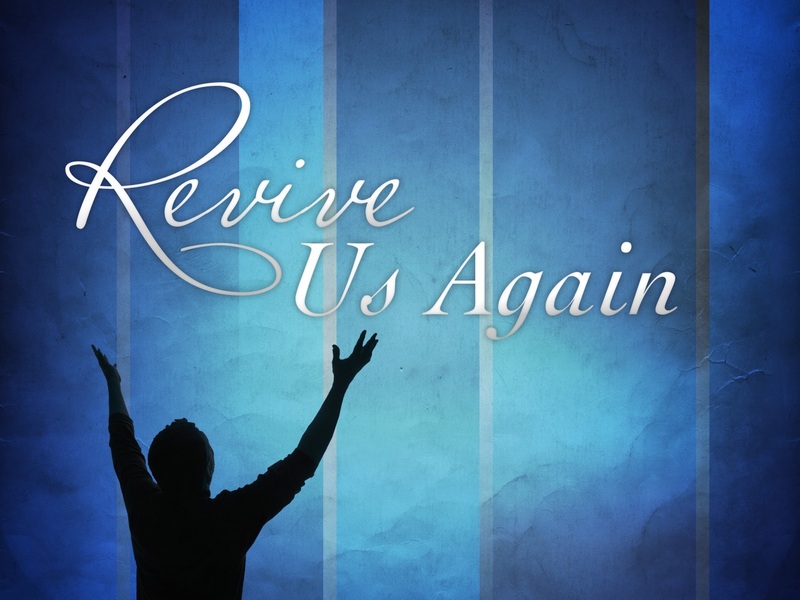 We come tonight to our final message is this revival series. For that message, we turn to the minor prophet, Habakkuk. Our books of prophecy in the Old Testament are divided up into what are generally called Major and Minor prophets. Those terms have solely to do with length, though, not with importance. Major prophets include books like Isaiah (66 chapters) and Jeremiah (52 chapters). Ezekiel and Daniel also are classified as Major prophets. However, Hosea through Malachi (12 more books of prophecy) are our Minor prophets, and Habakkuk, with only three chapters, fits into this category. In chapter 1 we see Habakkuk as a wrestler. He’s struggling with God over the situation in the world. We can probably all relate to the prophet in this regard. We see the conflict on the Korean peninsula and wonder when an Intercontinental Ballistic missile may come hurling through the sky toward us. We consider all the natural disasters that seem to be happening and wonder if they’ll ever stop. We look at the moral decline of our nation and wonder if the same fate that befell Sodom and Gomorrah may one day come our way. Like, Habakkuk, we wrestle. In chapter 2, though, we see Habakkuk as a watcher. He’s listening to God, recording the vision he’s given, and perceiving the truth. Watch is an interesting word in Scripture. Very often we’re told to watch. And very often, that’s the last thing we do. We need to learn to listen to God a little more closely and consider the Word He’s given to us. If we did, perhaps we would perceive a little more accurately the truth He’s revealing to us. Finally, here in chapter 3, we see where Habakkuk has moved to the worshipper. This is where we want to arrive. We find Habakkuk in prayer. In fact, with the exception of verse 1, the entire 3rd chapter is a prayer of Habakkuk. He begins the prayer here in verse 2 where he essentially says, “Lord, you’ve done it before – do it again!” Verse two is a statement of complete confidence in God. Similarly, the chapter ends on that same note: “I will exult in the Lord, I will rejoice in the God of my salvation. The Lord God is my strength, and He has made my feet like hinds’ feet, and makes me walk on my high places” (verses 18-19). So, we see Habakkuk, in the space of 3 chapters, going from the valley to the summit. It was prayer, vision, and faith that powered that journey. He prayed for God’s work, had a vision of God’s way, and the faith to affirm God’s will. My prayer tonight is that we’ll make that same journey. I pray that if you are here tonight and you’re in the valley, that before you leave you’ll be with Habakkuk on the mountain. 1. God’s work in the past. Notice that Habakkuk says, “I have heard the report about Thee.” What had he heard? What work had God done in the past? I think the remainder of chapter three gives us some clue as to what he may be referring to. God demonstrated his mighty power before His people in a number of ways. As we read verses 8-12 of chapter 3, some scholars see a glimpse of the Flood of Noah’s day. The prophet paints a poetic picture of nature struggling; the rivers, the sea, the sun and moon, and the mountains quaking. He speaks of the downpour of waters sweeping by. He talks of God marching through the earth and the nations being trampled. Indeed, they were more than trampled. The nations of the world in Noah’s day were utterly destroyed. Other commentators see these verses as describing the march of Israel from Sinai to the Promised Land. Verse 8 can be seen to describe the chariots of Pharaoh sinking in the mud, as God’s chariots brought salvation. In verse 9 we see the various battles Israel fought en route to Canaan. Verse 10 pictures poetically Israel entering and conquering the Promised Land, the deluge of this verse being a reference to the victory of Deborah and Barak over Sisera recorded in the book of Judges when a sudden rainstorm turned the battlefield into a swamp and left the enemy’s chariots completely useless. Verse 11, speaking about the sun and moon, would be a reference to the famous miracle of Joshua when the day was prolonged. This second perspective seems more likely to me, especially in light of verse 13-15, which certainly seem to speak about God’s deliverance of Israel from Egypt. He struck the “head of the house of the evil” (v. 13), a reference to the defeat of Pharaoh in Egypt. He “tread on the sea with (His) horses, on the surge of many waters” (v. 15), an almost certain reference to the Red Sea event. Whatever these verses are actually referring to, one thing is certain – they give us a picture of how God is at work. Nevertheless, I think about what God has done here in the United States. I share it not because I think we’re somehow better than other nations, but because it’s what I know. God’s work in the past has been amazing. In the 1730s and 1740s, the first Great Awakening swept through our land before we were even an established country. It left a permanent impact on the Protestant church. This awakening resulted from powerful preaching that gave listeners a sense of deep personal revelation of their need of salvation through Jesus. It made Christianity intensely personal to the average person by fostering a deep sense of spiritual conviction and redemption, and by encouraging introspection and a commitment to a new standard of personal morality. Perhaps this was illustrated most notably by Jonathan Edwards and his famous sermon, “Sinners in the Hands of an Angry God.” This sermon was delivered several times (probably 3), but it is when he preached it in Enfield, Connecticut, on July 8, 1741, that revival broke out. It’s said that Edwards was interrupted multiple times during the sermon by people moaning and crying out, ‘What do I have to do to be saved?’ The impact of this sermon is illustrative of how God was at work during this time. The Second Great Awakening began around 1800. In fact, the 1800s are often called the age of missionary expansion. It was during this century that names like Hudson Taylor and William Carey dominated the scene in England. Here in the United States, toward the end of the 19th century, a name that’s very familiar to us as Southern Baptists came into the picture – Lottie Moon. During the 1800s there was a great explosion of church planting. In fact, the church I was privileged to serve for 8 years in North Carolina (from 1988-1996) has been in existence since 1789. Over their storied history, they’ve planted 13 other churches. Twelve of them came in the 1800s, and the 13th came in the year 1900. During the 1800s, God was greatly at work here in the United States. When Habakkuk said, “revive they work in the midst of the years,” he certainly could look back on Israel’s richly abundant history. Likewise, we have a richly abundant history. Looking back to remember what God has done in the past so as to be motivated for the future is fine. Looking back longingly to the past and desiring to return to that time is not. Don’t forget that the children of Israel complained after leaving Egypt and wanted to go back. But God was leading them on to something new and something better. There was no profit in going back to Egypt. If we look to the past like the children of Israel there will be no profit for us either. Look and learn? Certainly, we should. Look and remember that God is at work? Absolutely. But we don’t live in the past. We must keep the past in its proper perspective. We live in the present, which brings us to the next point we need to consider tonight. 2. God’s work in the present. Today, we live in a time of great moral and spiritual decline in our nation. I’m only 55 years old, but I’ve seen massive changes in our culture since I first went into the ministry. I remember in the mid-1980s attending a meeting with the local little league because they wanted to play games on Wednesday evening. Many churches showed up to that meeting and voiced opposition because Wednesday was a church night and we didn’t think it was right to pull kids away from church activities. Back then, the perspective of the church was heard and heeded. The decision was made that night not to play games on Wednesday evening. Nowadays, they not only play on Wednesday night, but they play on Sunday morning. My youngest daughter graduated from high school in 2016. She played basketball at a Christian school. I’ll never forget one tournament they were playing where the game was scheduled for Sunday morning at 10:00 AM. A Christian school!!! We’ve come a long way, haven’t we, and it hasn’t always been in a positive direction. Our sins as a nation seem to be piling up to heaven, and even now I think we can see God pouring out His warning judgments upon us. Even greater judgments may come in the future if we don’t repent. Iain Murray, writing about the conditions prevailing before the First Great Awakening, said, “Everywhere in the English-speaking world, including Wales and the American colonies, a similar situation prevailed: formalism, coldness of heart, indifference to religion, and worldliness holding a general sway over the populations.” This sounds very much like the situation in which we find ourselves today. But then, all of a sudden, things changed and God poured out His Spirit in a mighty way. We shouldn’t forget that God has blessed this nation in the past and in times of decline, He’s visited the nation with great spiritual revivals. Can He do it again? Yes, He can. I think we can even see evidences of Him at work in the present. First, I think we see Him at work in the present through the tremendous amounts of churches being planted. This map of church plants through our North American Mission Board shows that there are hundreds (probably even thousands) of current church plants throughout our land. Remember, this is only through our denomination’s Mission Board. This doesn’t even include the many other evangelical organizations that are spreading the gospel through the planting of churches. Next, I think of the numbers of folks who are willing to go and serve in a missionary capacity. We think of the United States as being where all (or at least most) missionaries come from but that’s just not the case. A study by Gordon Conwell Theological Seminary discovered that about 400,000 missionaries were sent worldwide in 2010. While the United States was the leader in the overall number of missionaries sent, the data shows something different when you look at missionaries sent “per capita.” In that case, Palestine is actually the leading missionary sending country, followed by Ireland, Malta, Samoa, and South Korea. In per capita sending, the United States ranks ninth. We also see God at work through the many, many conversions that still occur. Romans 1:16 says, “I am not ashamed of the gospel, for it is the power of God for salvation to everyone who believes, to the Jew first and also to the Greek.” The gospel still saves today. Every year the church I’m privileged to serve sees people who repent of their sin, place their trust in Jesus, and follow Him in believer’s baptism. They believe the gospel, and they are saved. I know this church also sees people baptized from time to time as well. There’s a lot of talk in Southern Baptist circles these days about declining baptism numbers. And we do tend to baptize less people than we have in the past. Last year, among all the churches of our denomination, we baptized about 314,000. That’s the lowest level since 1948. In 1948 SBC church membership was about 6 million people. Today, it is about 16 million. So, we have 10 million more people but we are baptizing the same number of people. I do agree that is a bit alarming, but I want to put a different spin on this … there were still 314,000 people who were baptized last year. That’s a lot of new souls coming into the kingdom. That says to me that God is still at work in the present. The gospel is still the power of God for salvation. Should we be working hard to see more people come to faith? Absolutely, we should. Five years ago, the church I served baptized 42 people. Last year we baptized 8. I’d much rather see 42 people coming to faith in a year’s time than 8. BUT … we baptized 8. People heard the gospel and responded. That shows me that God is still at work in the present. 3. God’s work in Christ. There’s an interesting little phrase at the end of our verse tonight in Habakkuk 3:2. The prophet says, “in wrath remember mercy.” In context, Habakkuk is thinking of the impending judgment of his nation that’s coming. In chapter 1, we see him complaining that God’s people were crying out for help and God didn’t seem to answer. God’s response to that is, ‘Oh, you just wait – even worse times are coming.’ Specifically, he says, “I am raising up the Chaldeans, that fierce and impetuous people who march throughout the earth to seize dwelling places which are not theirs” (Habakkuk 1:6). This was a prophecy of the coming Babylonian invasion and captivity to follow. This was a startling realization for the prophet, but one he accepted as inevitable because God had declared it to be so. Even in the prayer here in chapter 3, Habakkuk recognizes this. He says in verse 16, “I heard and my inward parts trembled, at the sound my lips quivered. Decay enters my bones, and in my place I tremble. Because I must wait quietly for the day of distress, for the people to arise who will invade us.” The Babylonians were coming, and Habakkuk knew it. He agreed that this chastening from the Lord was deserved and it would ultimately work out for their good, but He also asked that God’s heart of love would reveal itself in mercy. When we become discouraged about the state of affairs in which we find ourselves, we should seek the Lord’s mercy. We should become intercessory prayer warriors. Isaiah 59:16 says, “And He saw that there was no man, And was astonished that there was no one to intercede.” I sometimes wonder if that’s what God sees when He looks at us today. Perhaps one of the reasons we haven’t experienced revival for so long is that we’ve not truly prayed for God to revive us. We’ve not said, “O Lord, revive Thy work in the midst of the years.” We’ve seen the indications of God’s wrath, His judgment upon us, and yet we go on our own merry way and seem callous and indifferent to how God is trying to get our attention. May I show you something tonight from the prophet Amos? Turn to Amos 5. Throughout chapter 4 there’s a recurring phrase. You see it in verses 6, 8, 9, 10, and 11. It is “Yet you have not returned to Me, declares the Lord.” Throughout the fourth chapter, Amos details how over and over God tried to get His people’s attention, yet they wouldn’t listen. They wouldn’t return to Him. And He did. That’s what Calvary is all about. The wrath of God is upon sin. The wages of sin is death. The soul that sins shall die. In the day that you eat (of that tree) you shall die, Adam was told. Over and over we are reminded that the high cost of sin is death. But God, in wrath, remembered mercy. He poured out His wrath not upon you and me, the ones who deserved it because we had rebelled against Him and sinned, but He poured it out upon His Son. Jesus took the wrath of God and we received the mercy of God. This is God’s work in Christ. It’s what He’s been doing for years now and what He’s still doing today. The real question tonight is, have you responded to His work? Have you repented of your sin and put your trust in the One who died for you? My oldest son graduated from Wheaton College in 2015. Being at Wheaton was a wonderful experience for him in many ways. Wheaton, in case you don’t know it, is one of America’s leading Christian colleges. They’ve produced notable alumni like Jim Elliot (one of the five missionaries martyred in Ecuador in the 1950s, and popularized in the movie, “The End of the Spear,” Billy Graham, John Piper, and, more recently, Todd Beamer, the individual known for his “Let’s roll” comment during the 9/11 attacks which helped take down the plane in Pennsylvania before it could reach it’s intended target. Wheaton is no stranger to revival either. In 1936 revival fires broke out on the campus when a senior named Don Hillis arose in chapel to voice a plea for revival. Students responded with an all-day prayer meeting on Saturday. Both faculty and students confessed sin and made things right with one another. The Wheaton campus was touched again in 1943 following a message on confession of sin during special services. The captain of the cross-country team arose to confess that he had violated college policy by leading his team in a Sunday race. Pride, criticism, and cheating were confessed by other students. Lunch and dinner slipped by unnoticed while the meeting continued into the evening service. In 1950 a member of the Wheaton College Glee Club shouted, “Stop the bus” while touring in Florida. A revival that had broken out on the campus in Illinois had touched this student hundreds of miles away. He confessed he had broken the rules and his repentance led other students to begin to turn to God. “Revive your work in these years,” the prophet cried. He will do just that, just as He has done many times before, if we will but look to Him. Will you, tonight?